This is what I like to think of as the “printing stage” of a hybrid workflow. I mean, actual printing is largely a process of getting paper to match screen. What we want to do here is what people used to do when printing negs: Get a good looking positive version of the negative original. So the first thing that doubtless will come to mind is why don’t I simply invert the picture? I mean, it is a negative after all. And there is this command called “invert”, right? Well, that is your simplest option. But even here I would add one small step. 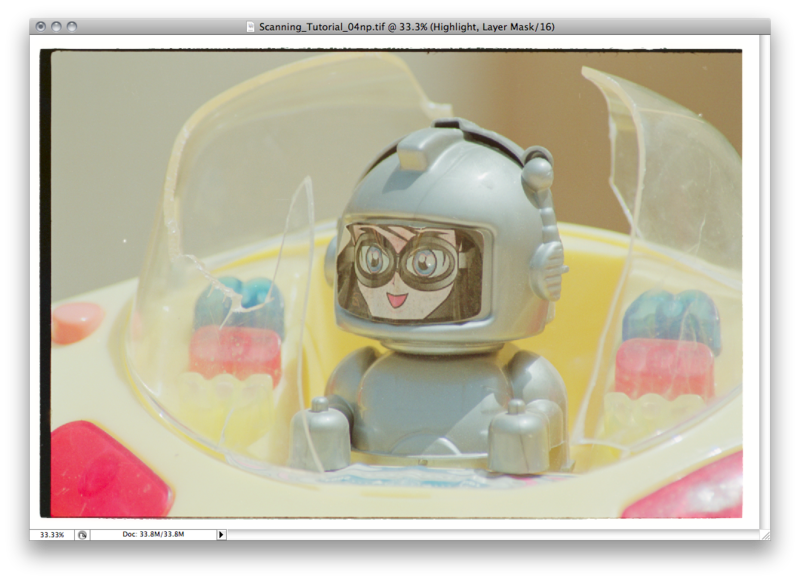 First, open that negative file in your image editor of choice. My post-processing needs are too humble to justify the current price of Photoshop so I use PhotoLine for most things and a very crunchy old copy of Photoshop CS2 for when I really need Photoshop. 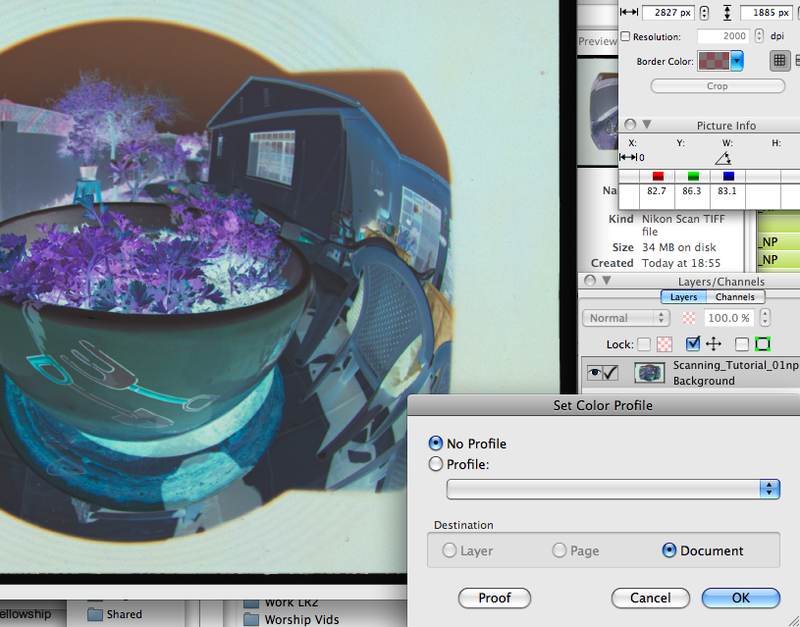 Assign a profile that matches the working space you set for your image editor. In my case I’m using a profile by Joseph Holmes called Chrome100 which is somewhat optimised for scanning but you could as easily assign AdobeRGB. 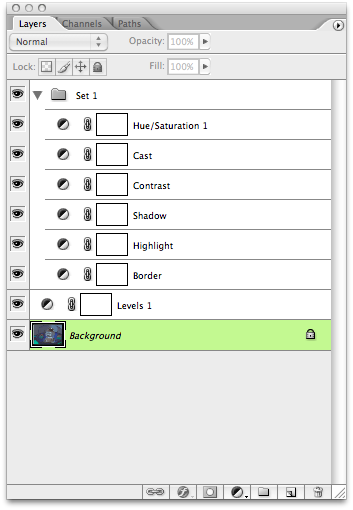 Whatever you choose, make sure your image editor’s working space is set to the same profile. Not too bad, huh? I mean, a little low in contrast, a little green, a little pale. Still, no clipping. It works better for some images than others but we can do better. Spend some time doing simple inversions and you will again become dissatisfied. It just isn’t the best way to do the job and depending on what you shoot you will start to become frustrated. The next best thing is to establish a little more control by using layers. There is a wonderful free set of Photoshop actions called DonzRGBActions that contains an action called CNeg. It will set up the layers for you and do a simple initial adjustment. Let’s walk through that, shall we? Open the scan in Photoshop and assign the working profile as before. You should have already loaded the DonzRGBActions Photoshop actions file. As I mentioned, Photoshop is going to tell you the file is sRGB (it isn’t but is tagged that way by Nikon Scan) so you need to tell it to “Discard profile and don’t colour manage” and then assign the working profile. 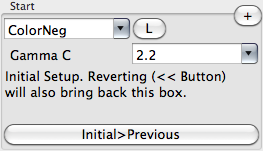 You don’t want to “Convert to working profile” because it will convert as if the file was sRGB and it isn’t! 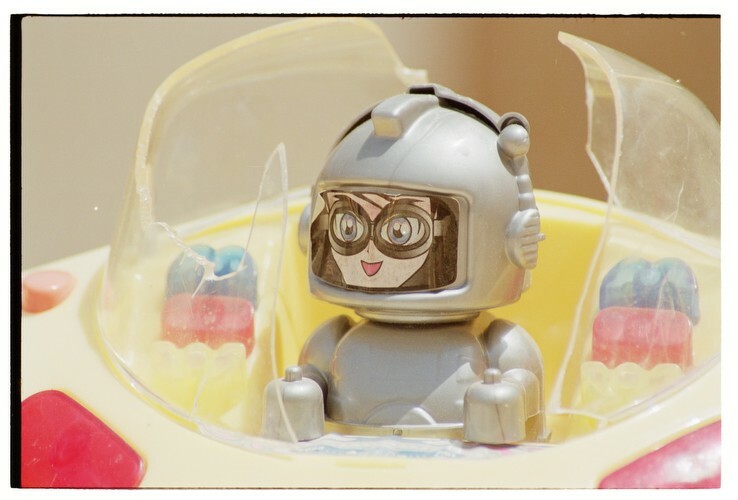 Here’s my reasoning: I’m going to use the eyedropper to set the border by clicking on some unexposed film. Since the Border layer is beneath the inversion layer I will use the white eyedropper. If I did it after the inversion layer I would be using the black eyedropper and working with less bits. 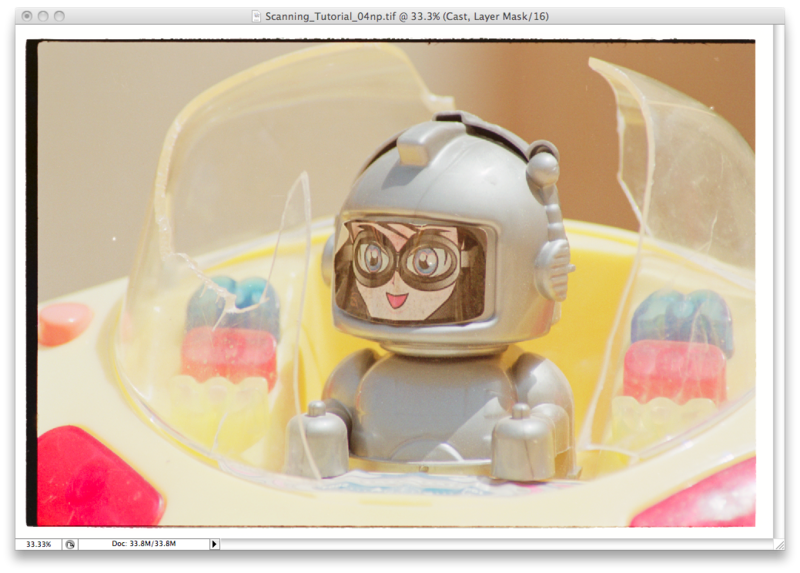 OK, I’m going to double click the “Border” adjustment layer which is a Levels layer and click somewhere in the unexposed film area with the white eyedropper. I’ve actually set the white eyedropper to 95% to leave a little wiggle room in the file. As mentioned before, there is a certain amount of variability in the colour of what looks like a flat area. Nice, huh? Again, it works better for some subjects than others. 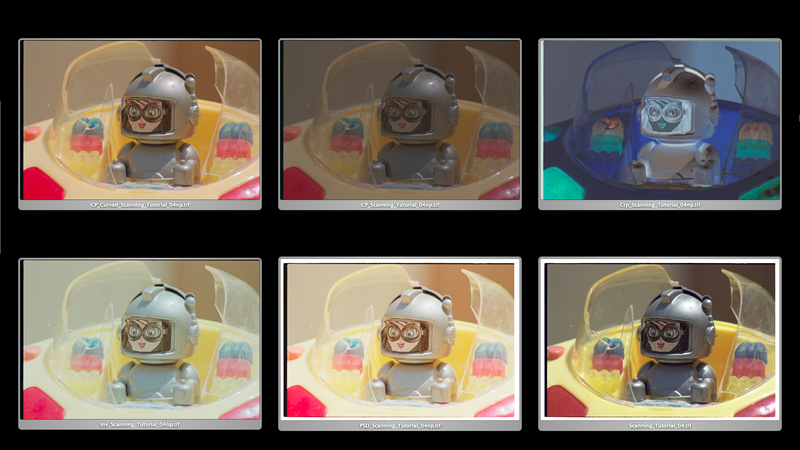 I find it is a good option particularly for night cityscapes where you are dealing with huge contrast ranges. It generally gives a nice “smooth” result but, again, isn’t generally the best choice where you want to hold on to the microtexture of things or have the most convincing skin tones. Also, as you may have seen, it is somewhat labour intensive. At this point we come to what is generally my weapon of choice. 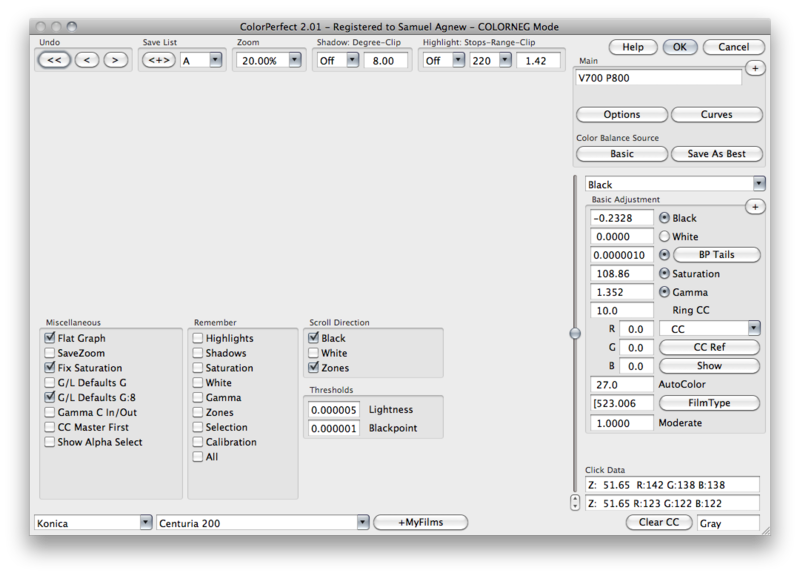 This is a little plugin called ColorPerfect written by a few crazy German guys. It is not free but it is not terribly expensive. It is a power user tool to be sure. Capable of much it can also be frustrating at first because it has a slightly hostile user interface and it also, at first, seems to be full of automatic algorithms bent on thwarting your will. Be calm, this beast is tamable! To start with we will load in the scan and apply the working profile (Chrome100 in my case but AdobeRGB or anything else is valid as long as it matches the working space set in your image editor). With ColorPerfect there are many ways to go wrong. Get something wrong and you will be scratching your head at an awful looking result. This is the first hurdle. 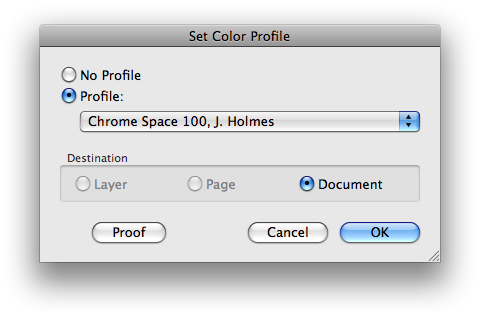 You MUST assign a colour profile that matches your working profile. 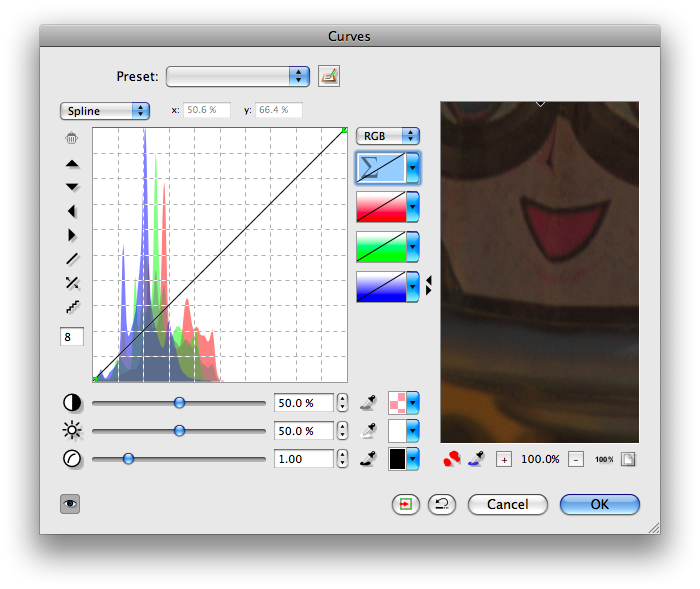 Secondly, ColorPerfect will evaluate ALL the pixels in your image. You remember how our scan includes some of the scanning mask. Crop it out now. Those full black pixels will throw everything else off! OK, we have chopped off all the scanning mask. As you can see, we still have a little of the unexposed film base on the left here. That’s good. It will provide a reference for the software of the colour of the film base. Don’t worry if you don’t have any film base showing. It will still probably do a good job. Whenever possible, however, I like to include some. Now, call up the plugin. Again, I’m using Photoline here. 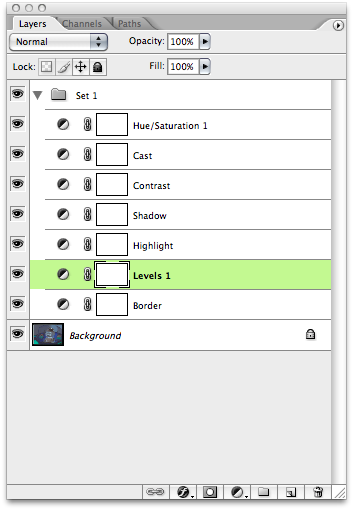 If this is the first time you are using ColorPerfect hit the plus button and then “Options”. This is the second hurdle. You MUST set something sane for the thresholds for white and black or it will clip quite a bit. The values are called “Lightness” and “Blackpoint”. As you can see, I prefer to set things rather conservatively. Click OK to save your settings. It will also now do some kind of inversion to your picture but since we didn’t set anything else it is probably not the result we want. 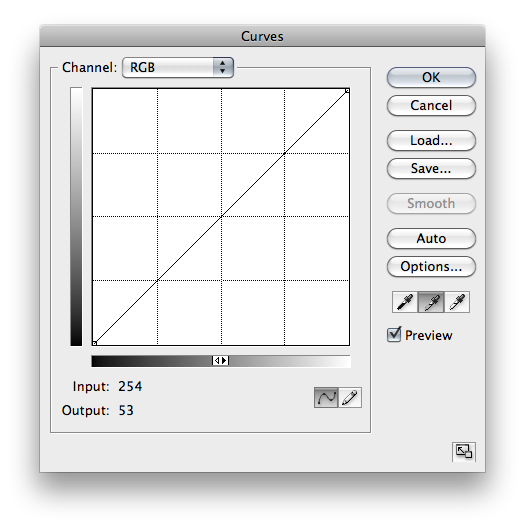 Either Undo in the image application or reload the scan (and crop and assign profile). The black and white thresholds will be remembered form now on. Not bad, eh? A little dark. 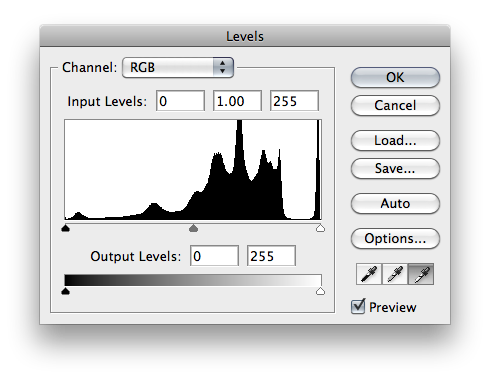 The brightness control is (confusingly) called “Black”. Move the Black slider whilst watching the Highlight Clip box at the top. At some point the number will stop being 0.00 and start increasing. You need to lower the brightness back down until you hit zero and (in my experience) even a bit more if you don’t want anything clipped. There is a highlight clipping compensation control up there next to the highlight clipping number. DON’T USE IT! I wasted a fair amount of time down that particular rabbit hole… Long story short: you will have crunchiness in your highlights and not be able to tell where it is coming from. It sounds like a nice idea but just don’t! 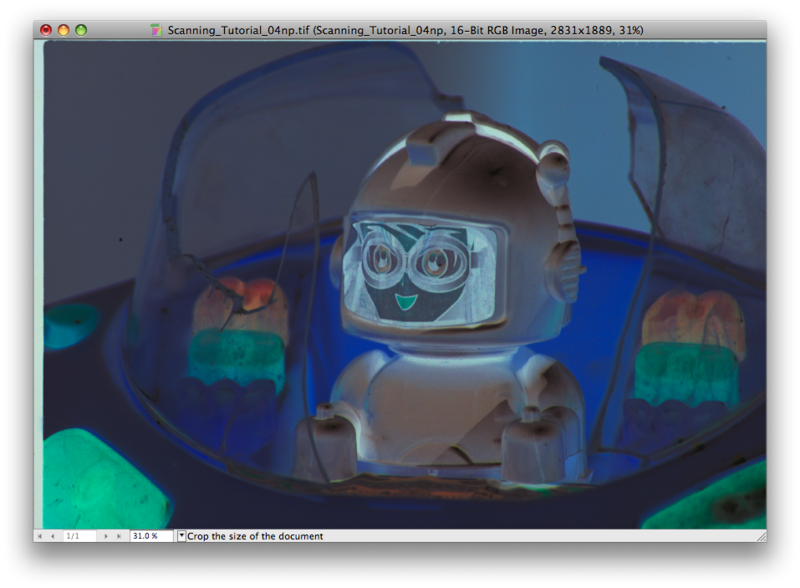 In practice, there are ways to deal with the default image rendering curve even from within the ColorPerfect plugin and in some ways that is advantageous. However, in this article I’m trying to keep things a bit simple. 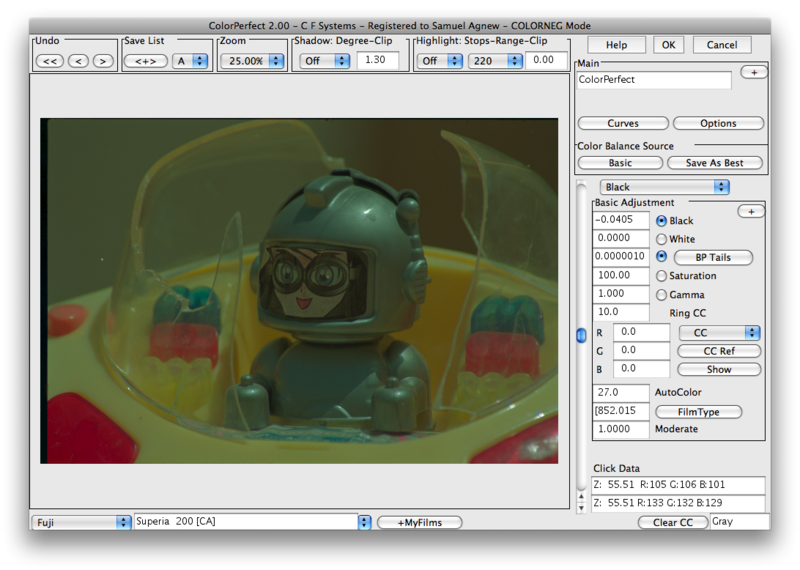 In practice, ColorPerfect is my go-to tool for negative inversion. I use it probably 99% of the time with occasional use of the DonzRGB technique for the 1% that somehow will look better done that way. Let me point out a few things here for you to compare between the different final versions: Look at the sun-faded plastic of the yellow spaceship. Notice how it only truly looks convincing in the ColorPerfect version. Look at the broken clear shell around him which is a bit dusty and slightly tinted by exposure to the sun. Again, it looks most convincing in the ColorPerfect version. 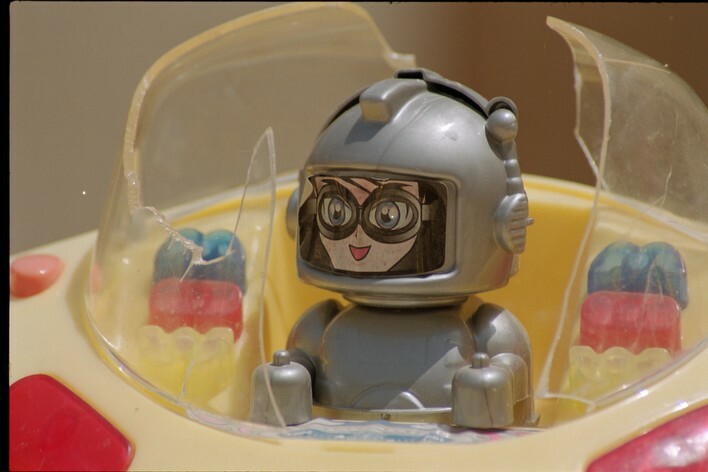 Lastly, look at our spaceman’s grey suit and his face. Again, I think you would have to say that it only looks convincing on the ColorPerfect version. If this were a person the skintones from the ColorPerfect plugin would really sell you on it. Well, they sell me on it, anyway. But Sam, you say, what if I don’t have a neutral target in my image? 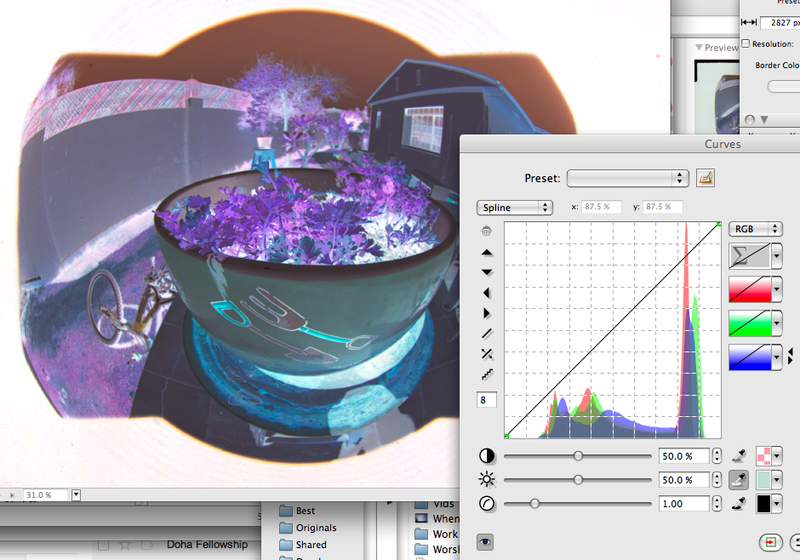 What if I want to consistently invert a batch of negatives in a standard way and then sort them out artistically later. Surely there must be a way! 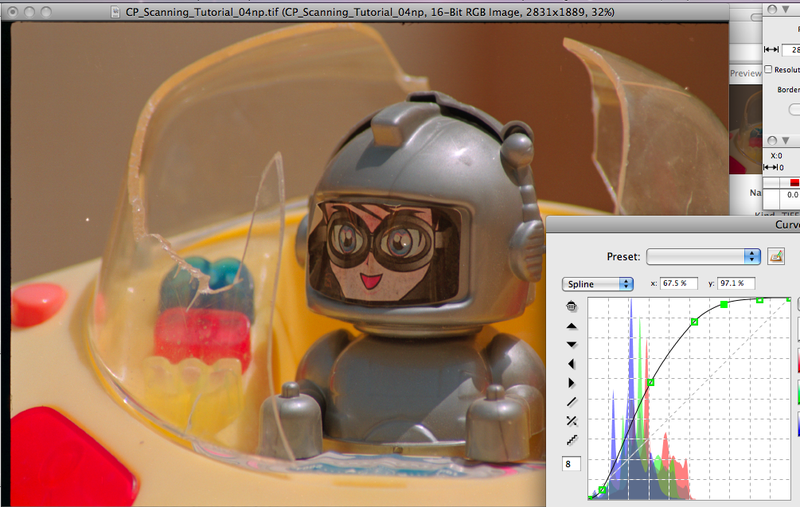 Hopefully this has given you some insight into how to do your own negative scanning. The techniques used in Nikon Scan for tuning the initial scan can also be done in other software. I’ve managed to do the same in HP Scan, DS Dual 4 Utility (the Minolta scanning software for my old Minolta scanner), Epson Scan and Vuescan. The goal in all cases is to get a good exposure for all three channels and preferably at linear gamma (gamma = 1.0). If you don’t have this choice (Epson Scan and HP Scan for example) you can tell ColorPerfect the gamma of the image you are feeding it and it will still work. Do you want to a little more control over how things turn out? If consistency of results is a goal of yours then you might consider continuing to my next post, Scanning Colour Negative Film 103 where I cover some more advanced techniques for achieving consistent results frame to frame. This entry was posted in Advice, Film Scanners, Technique, Uncategorized and tagged Advice, Analog, Analogue, Colour Negative, Film, Inversion, Negative Film, Post Processing, Scanner, Scanning by Sam Agnew. Bookmark the permalink.